How does Bark monitor Text Messages? Does Bark enable us to to monitor text message content on our children's devices? Absolutely! Bark will monitor text message content, including pictures and video on the device. If Bark finds a phrasing or media that you as a parent would want to be aware of, we alert you to that via email, text message, or in-app. What platforms does Bark analyze text messages on? Bark monitors text messages on Apple and Android devices. Is Bark compatible with iMessage? Yes! Bark will monitor iMessages across platforms that share the same iMessage account as a monitored iPad or iPhone. Does Bark allow me to see all text messages and pictures on my child's device immediately or in a list? No. Bark uses advanced machine learning and statistical analysis techniques to recognize potential problems. Our algorithms use machine learning to analyze conversational context and do not just look at keywords. Bark will alert you via email or in the Bark parent application to to any issues found in the content of those text messages, such as swear words, Cyberbullying, Violence, Suicidal Ideation, and more. Is Bark able to analyze deleted text messages? In many cases, yes. 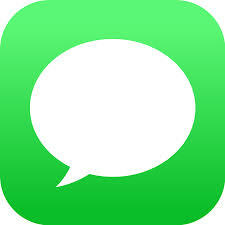 Again, Bark will not show all deleted text messages in a list for you. However, the content of some deleted texts may be available for Bark to analyze and alert you to any issues contained in them. Will Bark allow me to recover deleted text messages from a phone? No. In many cases, Bark can analyze deleted text messages for concerning material and alert you to that but Bark is not a text message recovery tool. We are happy to help! Contact Bark Support for more information.